Eliot’ Soil is a major new work by John Newling. Starting in April 2017 Newling has transformed many copies of The Wasteland into sustainable soil. 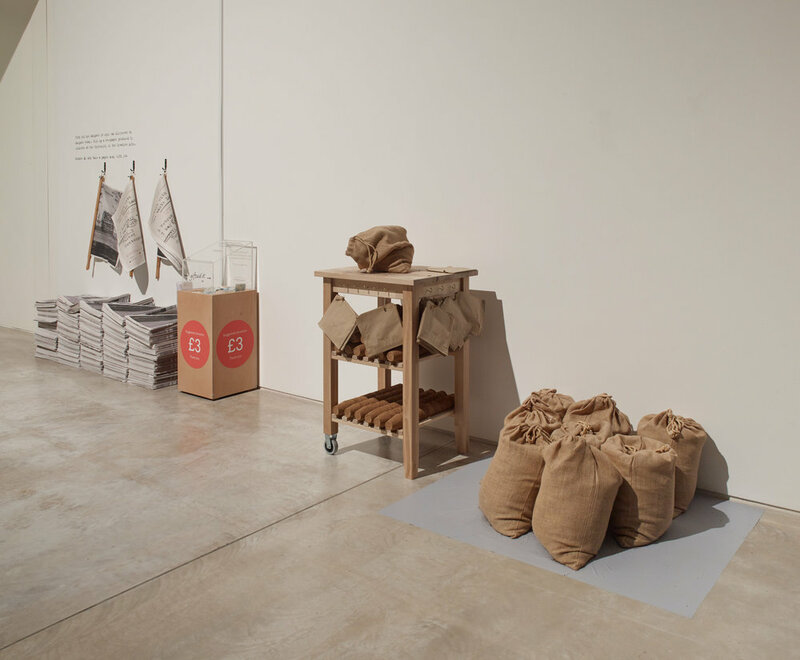 In the installation seven sacks of the soil will be distributed to people visiting the installation. Using the soil Newling has created a work entitled ‘Eliot’s Note Books’. 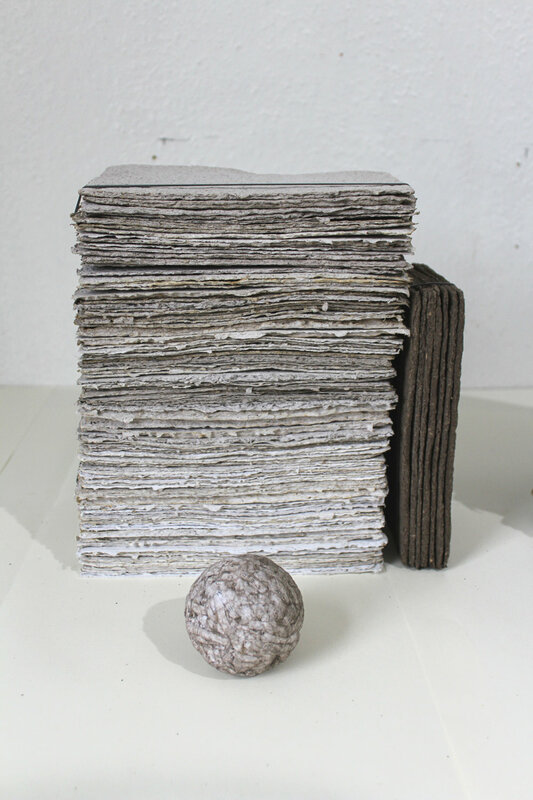 These works take the soil in its various stages of transformation and change reconstruct paper from it. In this manner each page of each note book contains the words of The Wasteland. The note books evolve as a line of small sculptures implying an imagined line of editing. There are 434 paper sheets in the work reflecting the 434 lines in Eliot’s poem. The final books of the work are entirely constructed in a soil that, if placed in the earth, would grow and sustain life. 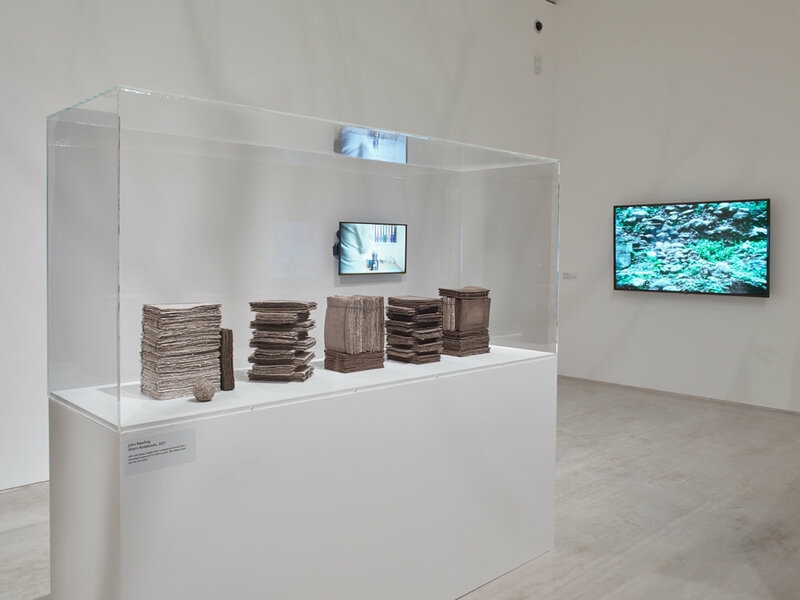 Accompanying this work is film of the evolution and processes involved in the production of the soil and the processes of returning the soil to paper. The project involved the shredding of several hundred copies of the Wasteland poem and the construction of the text into soil that can sustain vegetative growth. The soil consisted of, approximately, 80% text and 20% vegetable matter. The transition from text to soil was a slow process of carefully adding text to vegetative matter. Each day I collected vegative matter that Ann and I have left over from our kitchen and mixed that in with the shredded text and urine as an accelerant of the process. From coffee ground, an excellent source of Nitrogen, in the morning to vegetable scraps in the evening the work was intimately connected to our everyday life. 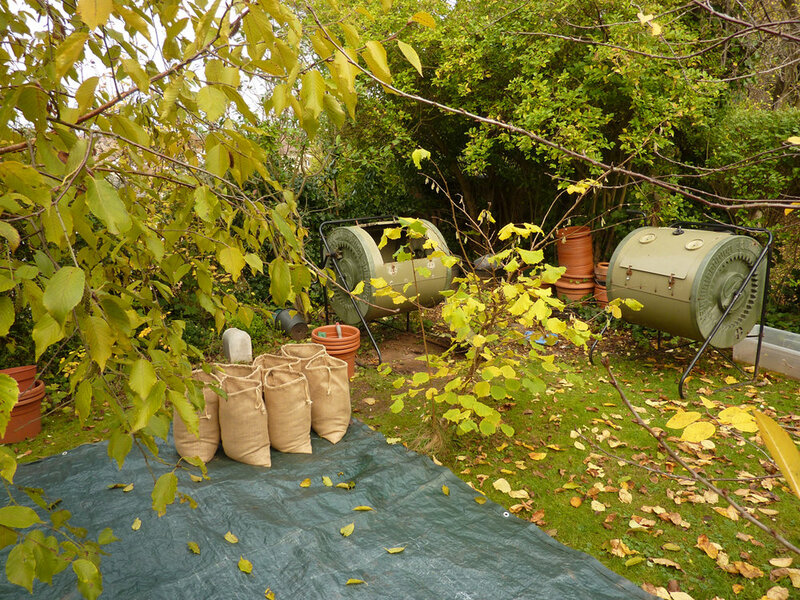 The text to soil happens inside two compost tumblers which were checked and turned each day. The spinning of the tumbler allowed air to circulate and the tumblers themselves, being made of metal, generate the important heat to trigger the slow decomposition of the text. More text was be added to the mix as the material evolves. As with Elliot’s poem the process was started in April (the cruellest month). The soil was completed in December 2017. I do see the soil as a melding of a great work of human language within the great wok of natural process; both sustain us and both help us grow.